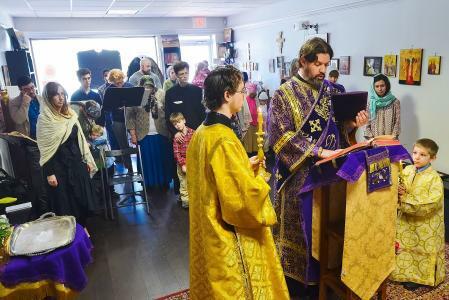 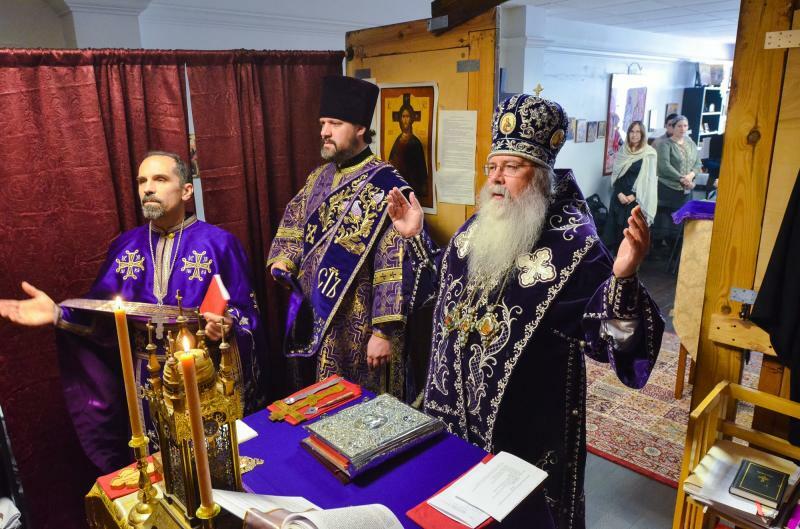 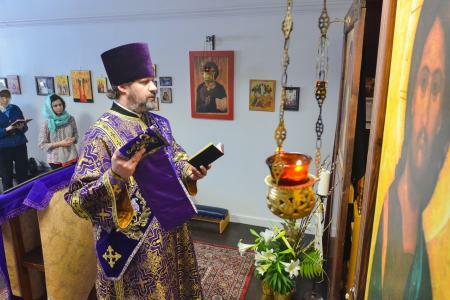 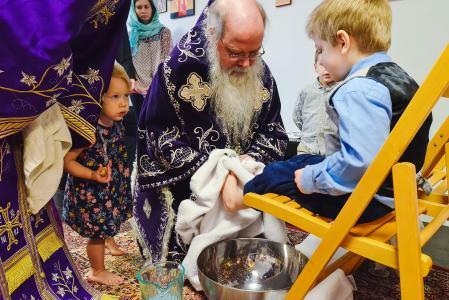 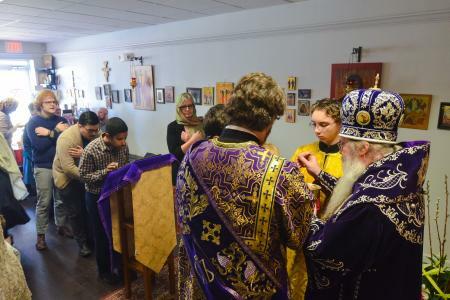 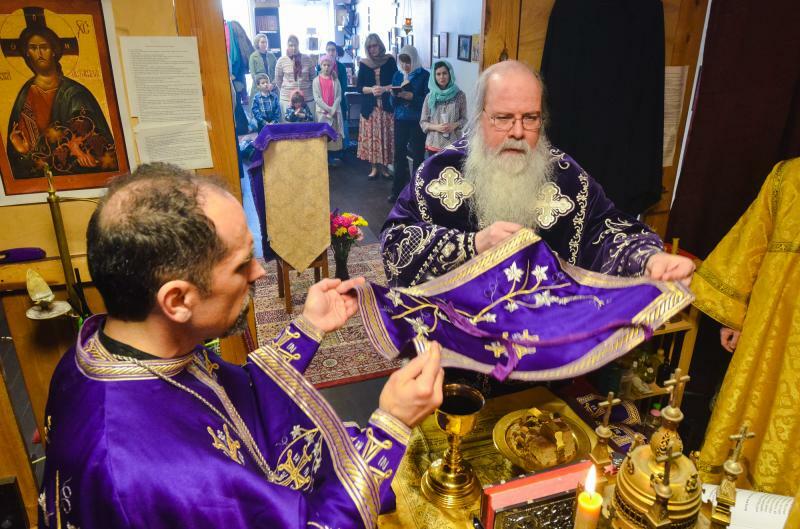 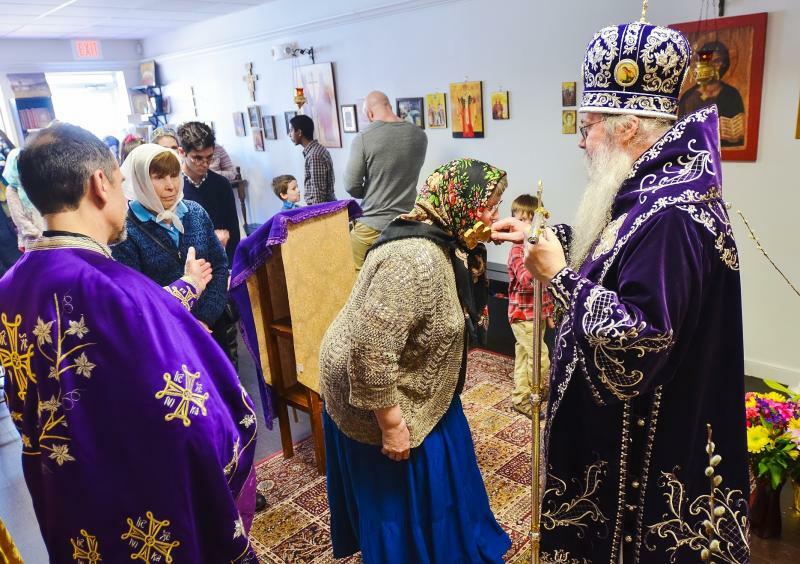 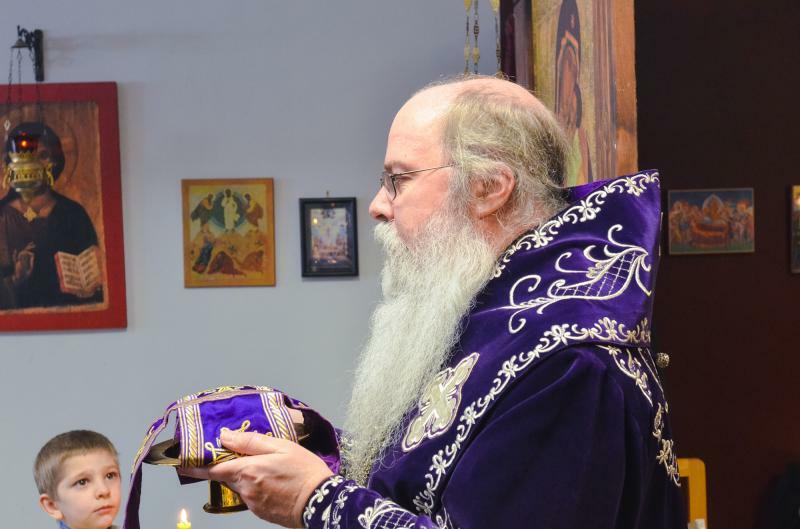 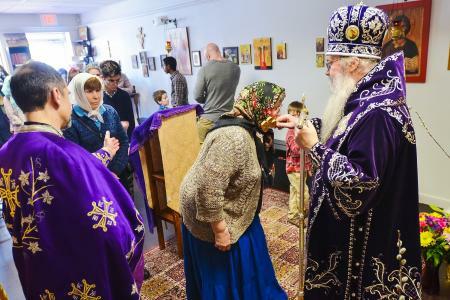 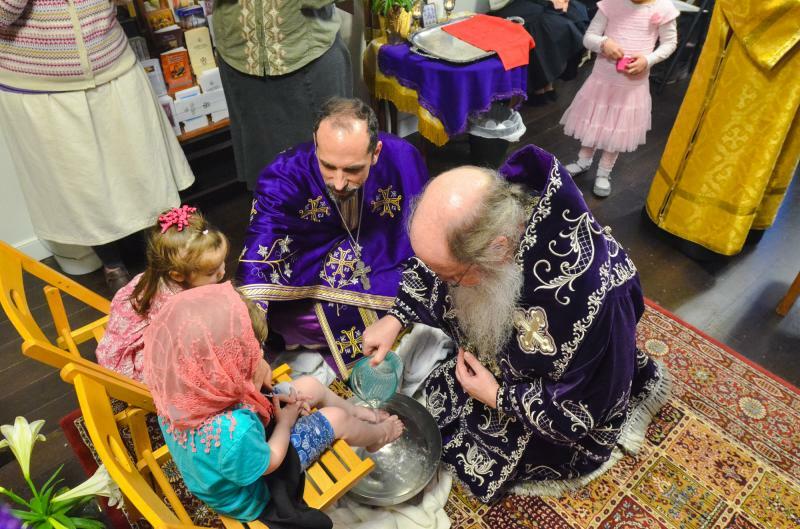 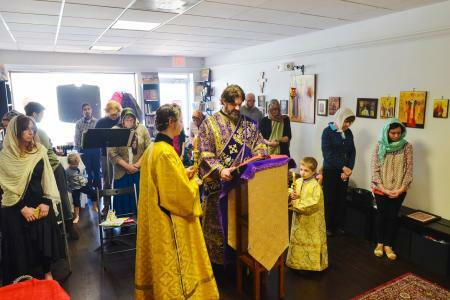 His Beatitude, Metropolitan Tikhon, visited parishes in the Washington, DC Deanery during Holy Week. 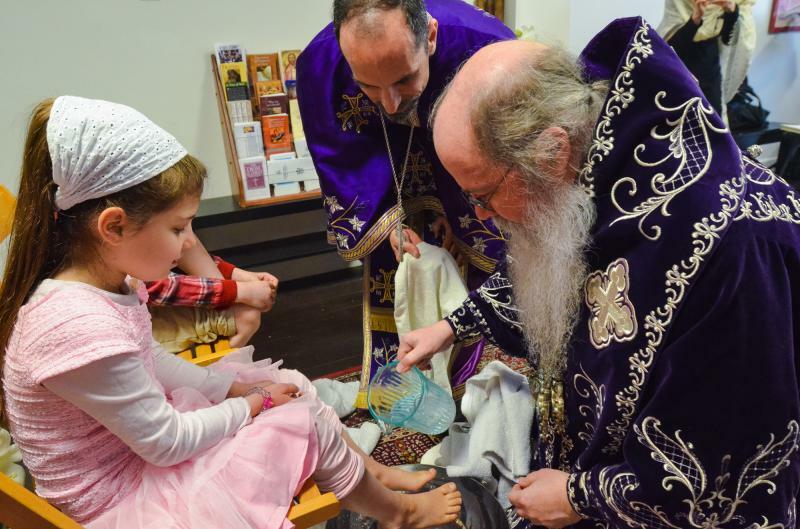 Among them was Holy Archangels Mission, Annapolis, MD, where he was welcomed on the morning of Great and Holy Thursday by Father Robert Miclean and the mission faithful for the celebration of the Vesperal Divine Liturgy and the Washing of Feet. 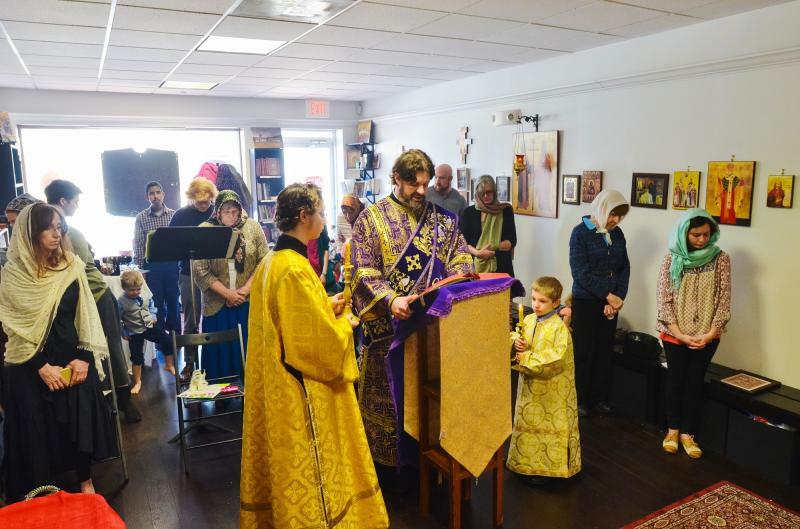 The growing mission community was established in January 2011 and “graduated” from the OCA Church Planting Grant program three years ago. 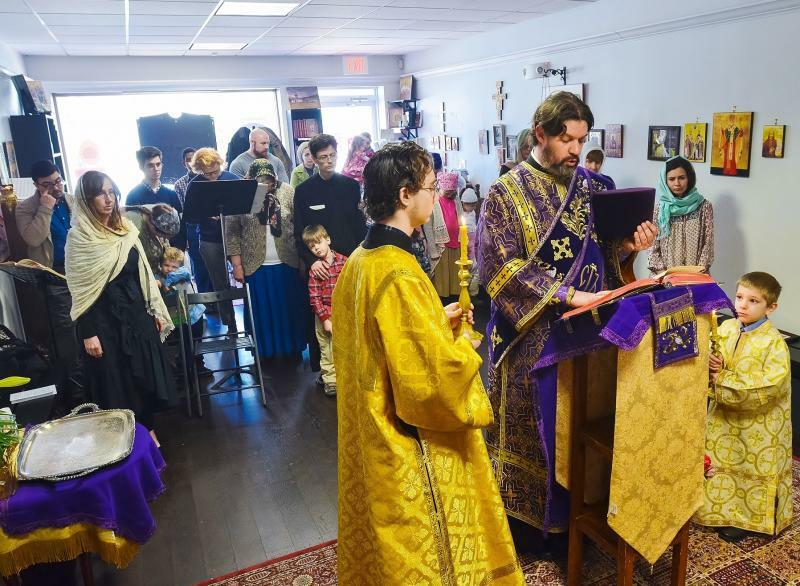 In addition to his parish duties, Father Robert serves as Orthodox Christian Fellowship and Annapolis College Ministry Chaplain. Photo Credit: Subdeacon Roman Ostash.